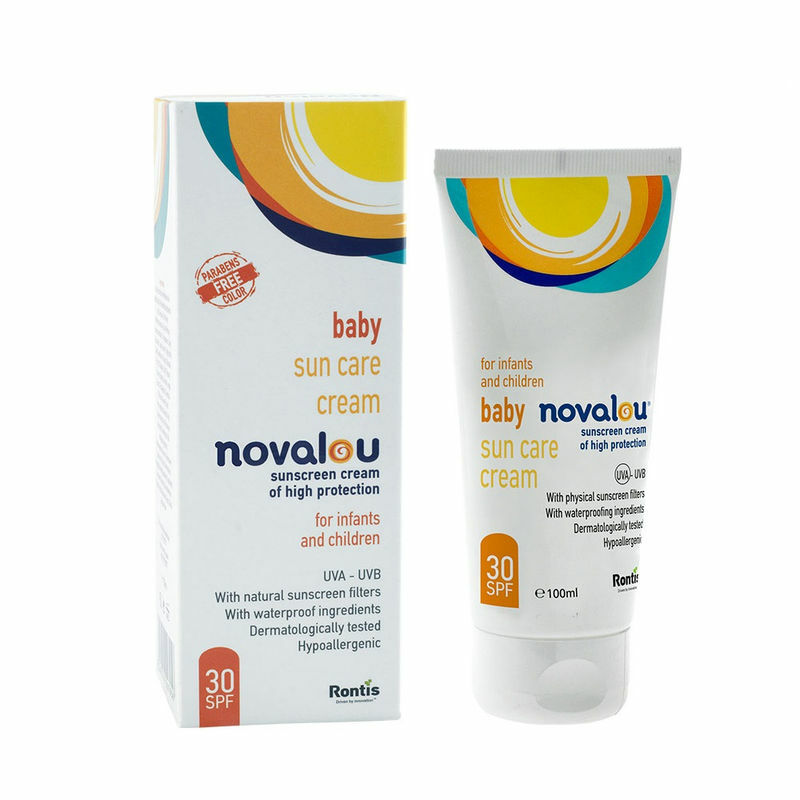 Novalou Baby Sun Care is a face and body sunscreen cream of high protection with SPF 30 and physical sunscreen filters, for infants and children. This sunscreen is enriched with biosaccharide and vitamin E that contribute to the protection, hydration and strengthening of the natural skin defense. Biosaccharide is an invisible, natural, protective and antioxidant shield, against every environmental irritant. It is non-occlusive which allows the skin to 'breathe' naturally. Explore the entire range of Body Sunscreen available on Nykaa. Shop more Novalou products here.You can browse through the complete world of Novalou Body Sunscreen .